AirMusic 2.5.7 update was finally approved. It was the most painful experience I have had in many years. It took 42 days for this update to be approved. – First time was because our description mentioned that you should “reboot” your phone in case of memory issues. – After updating the metadata in all our languages (we support 11), we resubmitted and was rejected again. This time they wanted to see a video of how AirMusic worked. Our app has been in the AppStore since February 2011, downloaded 750,000 times. You would think Apple would be nicer. Nope. I am sad to say that I have submitted a 2.5.7 update of AirMusic to the AppStore, back in June 29th 2014. The app, which fixes background disconnection, went in review on July 7th and since then, it is stuck in limbo with no feedback other than the canned responses from Apple AppStore review bots. I have sent 3 requests for updates and even asked to expedite review to see if it helped, to no result. Please, tweet or repost this on Facebook. Maybe this will help get an answer from Apple. AirMusic was finally approved today. See http://www.plutinosoft.com/apple-a-love-hate-relationship/. Great new from Xbox team this week. Major Nelson just announced that Xbox One next Fall update will have full DLNA support. This means that just like the original Xbox 360, AirMusic will now be able to stream music from your iOS device to the Xbox One. A bunch of friends and I decided to race for the 24 hours of Lemons. Geeks that we are, we had to come up with a way to get sensor data out from the car to the pit and communicate with the driver. That’s how ClariceNet came to life (our theme was the “Silence of the lambs”). 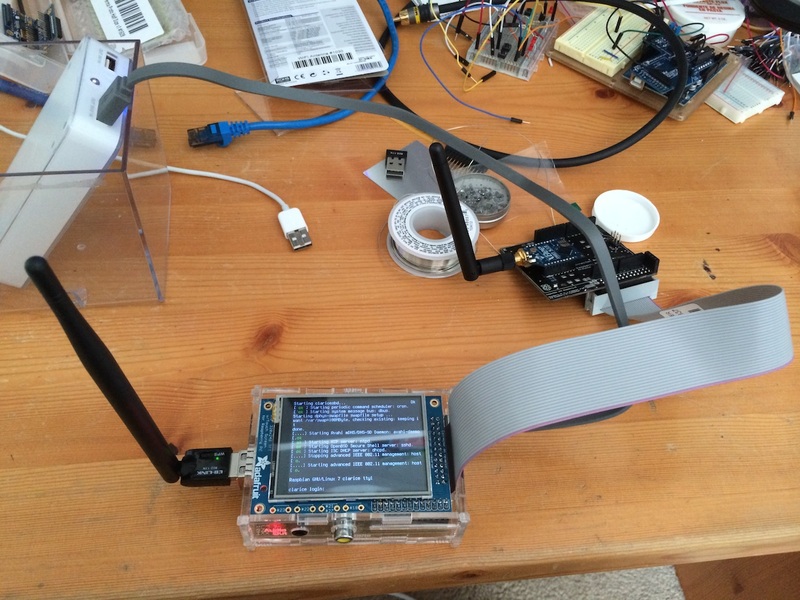 A combination of Arduino, RaspberryPi, iPad, Wifi and XBee for communications. Team blog is on Tumbler. AirMusic can now stream music to a Google Chromecast device. Pick a song from your library and hear it on your TV. You can also queue up more than one song with the Chromecast Playlist in-app purchase. Today is, supposedly, the end of the world according to the Mayans. To celebrate, we present you our latest iOS app called MusicFlow. We’ve taken our previous AirMusic app to the next level. With MusicFlow, you can now stream anything playing on your device to an Xbox or Smart TV. YES, you can now stream Spotify, Pandora, the free music from your Free Music favorite downloaders. Heck, even DRM protected content such as Audiobooks can play on your big fancy speakers now! You can find more info about MusicFlow here. © 2012 Plutinosoft - Powered by Wordpress.